US Army Staff Sgt. 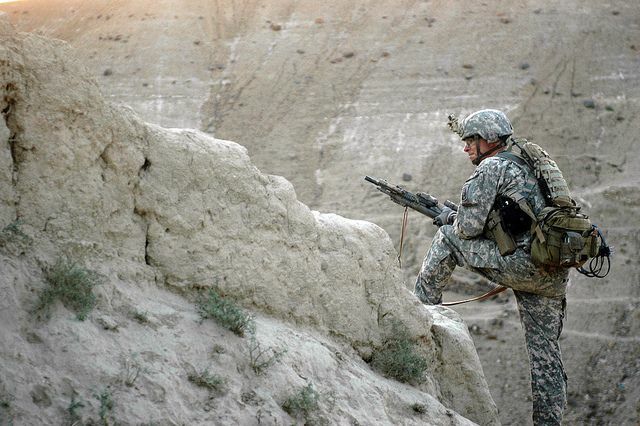 Jesse D. Smith, a squad leader with 3rd Platoon, Troop C, 1st Squadron, 172nd Cavalry Regiment, 86th Infantry Brigade Combat Team, looks out over a ravine in a Koh-e Safi District village here Sept. 8. Photo via the US Army.